This man will give you a G and T pretty much on demand when you are on safari with him although he’d rather you wait until sun downer time so you can appreciate the lush landscape and bush-life of the Okavango Delta! 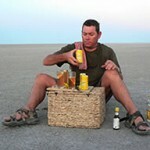 Clint takes our guests on private mobile safaris around the highlights of Botswana but at a keen price. His camps are comfy but simple. You get his specially adapted safari vehicle and his expert guiding to yourselves all for about £290 per person per night if there are four of you travelling together. It is lucky that there are some fairly crazy people out there who like building a dream in difficult places. When I first went to the Baixo do Pinda peninsular to see Nuarro lodge it was quite an arduous journey to get there. Now, with more access via Johannesburg or Nairobi to Nampula and their own airstrip you can get to this stunning crescent shaped cove relatively easily. Very eco with a serious solar power scheme the atmosphere is chilled. How cool is it to dive from the beach? Walk to nearby fishing villages, kayak in the mangroves and visit a once powerful Portuguese town: Ilha de Moçambique, a UNESCO site. Stay 4 nights and you get one free too. John Copinger has lived in the Luangwa for years and he flies to Mfuwe for meetings on his micro -light. He will also take you up for a morning whizz to check out animal activity beneath you along the meandering river. This park is iconic in Zambia’s safari circuit. The game diversity is superb and leopard sightings are very high. The river is not dammed anywhere and with no industry nearby the wildlife is undisturbed. 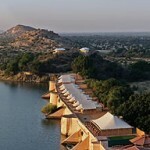 Copinger only has 6 rooms at his lodge along with some walking camps and the best guides. 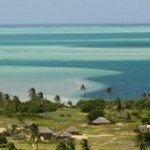 Links well with a flop on Lake Malawi. I wonder if the guests of the ‘Best Exotic Marigold Hotel’ (a must see film) would have been happier being looked after by the three brothers of the Thakur Chhatra Singh family, whose gentle and thoughtful hosting will calm you. This tented camp is built on a magnificent dam created by their ancestors who benevolently ensured the surrounding land could be cultivated out of previously dry scrub. The site was then used for legendary sporting parties and now you can enjoy nature and village walks along with some of the best Rajasthan home cooking. A great place to intersperse between the magnificent cities of Jaipur and Jodhpur, it definitely can be described as a haven of rural tranquillity. One of the brothers also has a fantastic collection of jeeps, some dating from World War 2. It is a “bush” home just like in Africa.